Even John Mayer is a fan, calling her music “gorgeous, simply gorgeous.” A Philadelphia native, Liz recently made the move to Nashville, Tennessee where she has quickly made her presence known throughout Music City. In addition to writing more than forty songs with some of the best songwriters in the business, Liz has also managed to keep up her seemingly never-ending touring schedule, playing over one hundred shows in the last year – all without the help of a record label or booking agent. 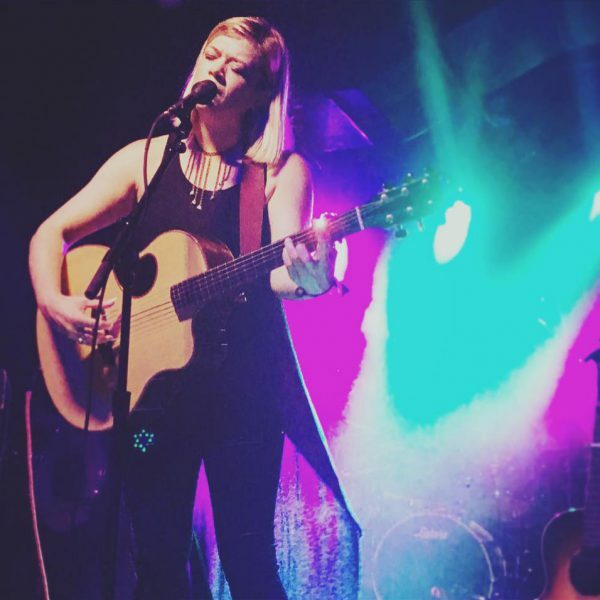 While Liz frequently supports the likes of Shawn Colvin, Amos Lee, Paula Cole, Nanci Griffith, Livingston Taylor, Lori McKenna and Colin Hay, something remarkable has begun to happen – audiences are emerging from these shows as fast fans of Liz’s music as well. An engaging performer with an effortless stage presence, Liz has broken advance ticket and merchandise sales records at numerous venues across the country. Most recently, Liz’s music has taken center stage on a national level with numerous television placements and radio airplay. ABC’s critically acclaimed series NY Med featured Liz’s music throughout the first season, and the 2012 season finale of Lifetime’s Army Wives displayed her towering vocals in an epic grand finale song, “This Is Not the End.” Executives at SiriusXM caught wind of her captivating cover of Van Morrison’s hit “Moondance” and added it into regular rotation, along with her award-winning original song, “When You’ve Got Trouble.” After an impressive response from listeners, Liz was invited to perform live in the SiriusXM studios in New York City and was named one of their Coffee House Discoveries of 2011. Following the success of her previous release, Hot Loose Wire, and an impressive crowdfunding campaign this past summer, Liz recently returned to the studio where she recorded her fourth full-length album which is scheduled to be released on February 26, 2013. Get to know McPherson Artist Liz Longley in the “Artist of the Month” video.